I want to share with you the secret to finding the love of your life. It's not anything I would have expected. After 5 amazing years in an incredible relationship with my best friend and my soulmate, getting engaged on top of Angel's Landing in Zion National Park and sharing this incredible life with the person I've always been searching for - I have a lot that I've learned along the way that got me to where I am today. I'm going to share that with you. Before I learned all of this, I knew there was something I was missing, a reason I wasn't finding that lasting, loving realtionship I wanted but I didn't know what it was. I went to bed at night feeling lonely, wishing I had that person next to me to fall asleep with. Sometimes I would lay in bed wondering what was wrong with me...if only I knew then what I know now. I had this feeling in my heart, this deep knowing, that I was supposed to be with someone. That I was supposed to share my life with this person. I had a fun life traveling the world but at night that same feeling would pop up before bed - I wished I had someone to experience all of this with. I wanted someone I could count on to really truly love me, day in and day out - at my best and at my worst. Someone to celebrate all the little wins in life. I run multiple online businesses and I absolutely love what I do but I am a busy woman. I would work all day and enjoy doing it but once it was time to switch gears and log off I was left with that same longing feeling. I wanted someone to spend my down time with. I wanted someone to laugh with, crack jokes and connect with, I wanted someone to hug and have deep and meaningful conversations. I LOVE to cook and create recipes - I wanted someone to cook for. I wanted someone to take runs with or do yoga, hike, surf or workout. I wanted someone who wanted that too. I'd been in enough relationships where I really liked - sometimes loved my partner but I didn't feel commitment from them. I didn't want that feeling anymore. I wanted undoubting, unconditional love. I wanted someone who would not only call and text back - but would jump at the chance to connect, someone who would get the same butterflies when we thought of each other. I wanted someone who matched my love profile. I also wanted to feel their commitment so strongly that I never worry if he will leave me, cheat on me, fall out of love with me. I wanted my perfect match - a person I could spend the rest of my life with and keep that same firey love. I didn't want a honeymoon phase, I wanted a honeymoon life. Over the next few months I changed how I felt about love and relationships. I changed my habits and changed my thoughts. I shifted my beliefs and my mindset COMPELTELY. The most miraculous part ... it worked. The relationship I have now has given me not just a partner, but a best friend. It's given me a feeling of peace, security, joy and deep happiness. It's given me someone to explore this world with. It's given me a best friend to spontaneously hop in the car and go on an adventures. It's allowed me to have that person that even after the worst day I come home to and we laugh. It lightens everything. It makes life even more fun! The best part - I don't have fears that he will leave me, cheat on me, decide to stop loving me - things that used to keep me up at night. I can feel his love and mutual happiness which came from using my process. It's given me a healthy body and a friend to share health and fitness with. We are each others perfect match and that has given me the love of my life to come home to every night. It's a dream come true and it's amazing how much my lifes has changed for the better since Josh came into it. I've coached women and men around the country, using the same techniques I used, who have found love and gotten in the best shape of their life. It makes me so happy because I know that finding love is everyones birthright. You deserve it and you have every right to have a heart pounding love that gives you butterflies. It's just a matter of knowing what to do, which is why I created this three part training for you! 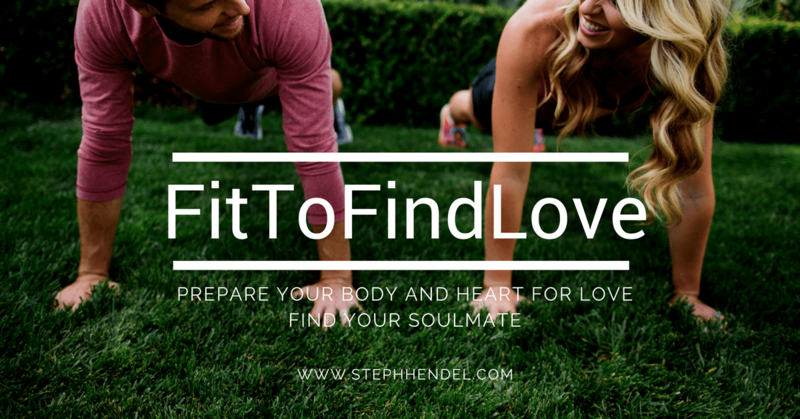 Understand and know how to find love. Learn the secret to attracting the ultimate relationship. Bring the fire and love back to your current relationship while getting both of you healthier in the process. Get the keys to attracting the RIGHT relationship. Have that person to rest your head next to at night feeling deep mutual love, connection and acceptance. Find someone who will give you butterflies and make your heart race. ​ It’s time for you to start attracting your soulmate right now! This three part love training is free. ​Sign up below to get instant access to the training videos.